Black and gold are such classic wedding colors, you simply can't go wrong. 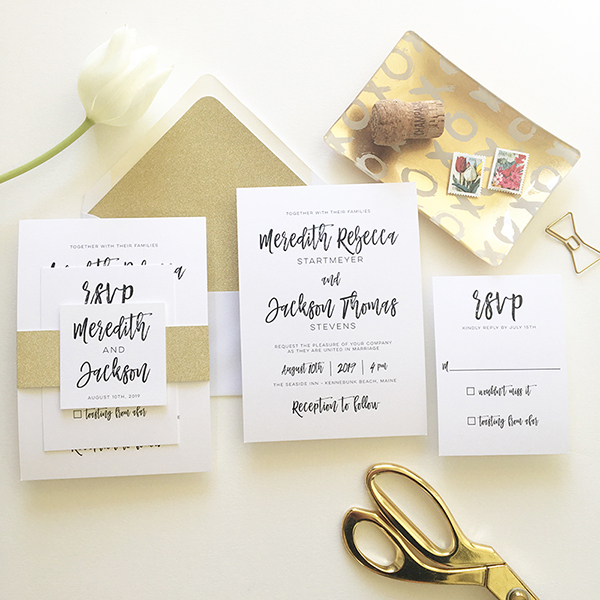 Here we paired them with a fun, modern font and wrapped it all together with a gold sparkly belly band. but still delivers a huge design and wow factor, which we all want, right? !